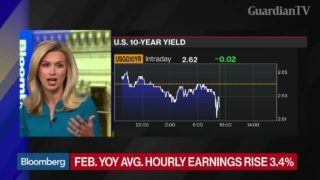 Kathy Jones, chief fixed-income strategist at Charles Schwab, Anastasia Amoroso, global investment strategist at JPMorgan Private Bank, and Greg Peters, senior portfolio manager at PGIM Fixed Income, examine the U.S. February jobs report. 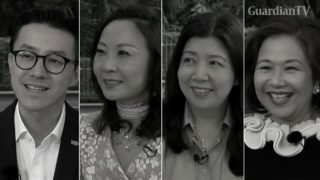 Joyce Chang, head of global research at JPMorgan, Jay Pelosky, chief investment officer at TPW Investment Management, and Bruce Kasman, chief economist at JPMorgan, examine the aftermath of the financial crisis and look towards what may cause the next crisis. 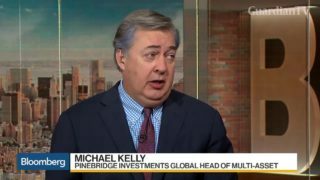 Mike Kelly, global head of multi-asset at PineBridge Investment, discusses the warning from JPMorgan Chief Executive Officer Jamie Dimon that U.S. yields could reach 5 percent. 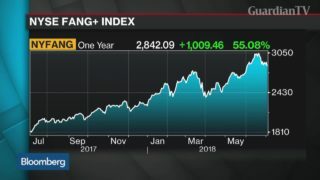 Peter Dixon, a global financial economist at Commerzbank, and Grace Peters, European equities strategist at JPMorgan Private Bank, discuss the outlook for technology stocks. 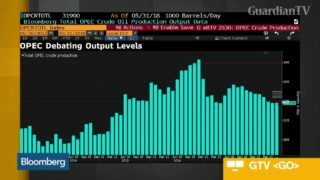 Scott Darling, regional head of oil and gas at JPMorgan Chase & Co., talks about oil prices and this week's meeting of the Organization of Petroleum Exporting Countries. 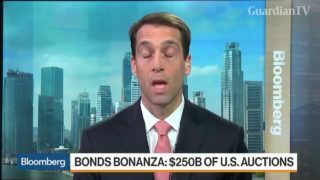 JPMorgan Head of Asia ex-Japan Equities Research James Sullivan weighs in on the bond markets and talks about his investment thoughts. 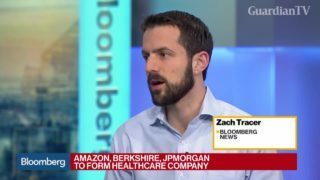 Bloomberg's Zach Tracer reports on Amazon, Berkshire and JPMorgan forming a health-care company and what it may mean for the health-care sector. 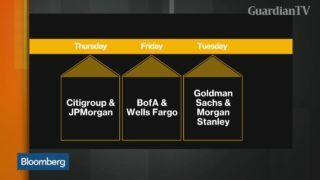 Banks begin to report results later this week for the three months ended Sept. 30 with Citigroup and JPMorgan kicking things off on Thursday. 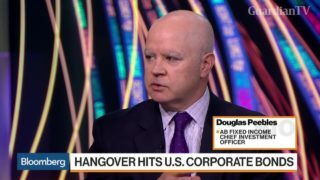 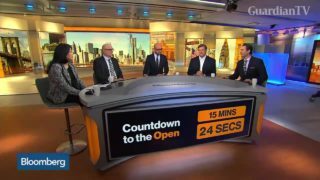 Jan Loeys, head of global asset allocation at JPMorgan, discusses the impact from the White House on markets. 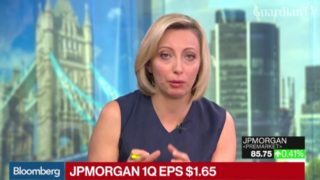 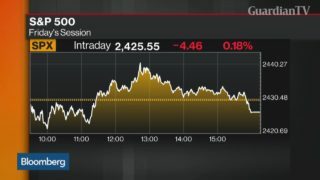 Bloomberg’s Francine Lacqua and David Gura report on JPMorgan earnings.